This is our favourite walk, and we get twitchy if we haven’t done it for a while. It isn’t too strenuous, whatever your age or walking ability. The first part is reasonably accessible for pushchairs and wheelchairs (depending on the weather – make sure you don’t get caught in a mudbath). Gracie has done this walk since she was a toddler (though it is fair to say there has been the odd grumble at various times, especially during a particularly violent hailstorm in February). Many of the pictures on this site were taken on this walk. Starting off from Smardale, the walk follows the old Stainmore railway line. The sights include rare flowers, tunnels of green trees, lime kilns, the remains of ancient settlements, lots of sheep and magnificent viaducts. In summer, colourful butterflies flutter around the wild flowers and the long grass. 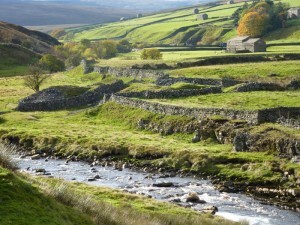 If you descend to the bottom of the valley towards Scandal Beck, the landscape is even more timeless, with mossy stones, shallow, clear water and whispering trees. Smardale Bridge is the best place to unpack cakes and thermos flasks, before climbing up the fell, back towards Smardale. 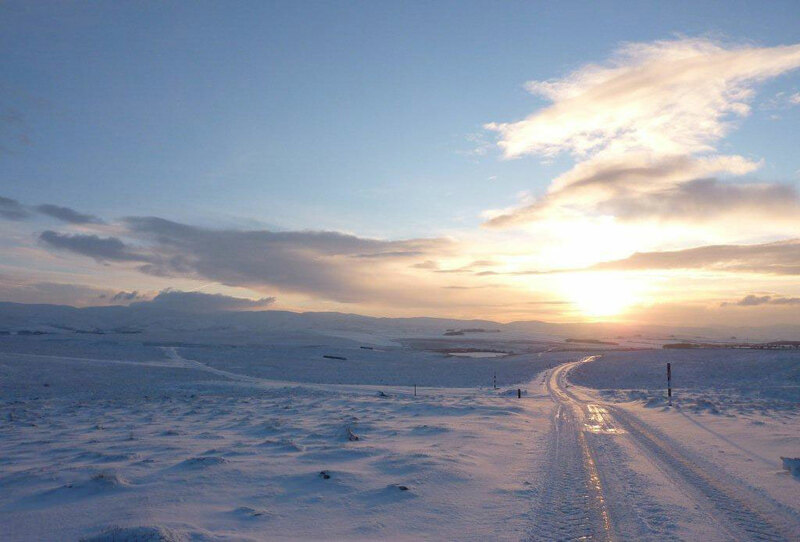 At the top, looking behind you, there are the most sensational views, whatever the weather. This walk has everything, in all seasons. On Christmas Day last year, we had a wild time being blown around the fell and chasing rainbows. In summer and spring, the scenery is achingly bucolic; autumn brings golden hues to the fells in the distance, and the snow is just magical (see the picture above). Please be aware, this description is in no way intended to be a guide – you will find a full description and map of this walk in the property. Kirkby Stephen is a fascinating town and is well worth exploring randomly to see what serendipity brings. It is interesting, as with many towns in the area, to consider the age of buildings that are still being used today. The earliest parts of the stone church (the ‘Cathedral of the Dales’) date back to around 1170 on the site of an earlier Anglo Saxon church. It was rebuilt in 1220 and has since undergone many updates. The Market Square dates back to the Market Charter of 1352, but most houses date back to the 17th, 18th and 19th Century. Drop into the church and cloisters, and the Loki stone (8th or 10th Century), which depicts the mischievous Norse god bound and chained to a rock for eternity. If you dart off down the narrow lane past the cloisters on your left and follow the passages, you will find Frank’s Bridge, a 17th century corpse lane bridge. Despite its former rather sombre function, this is a lovely place for a paddle in the shallow waters of the Eden. We would definitely recommend that you visit the local shops and try to buy the local produce. Stephenson grocer’s has a great selection of fruit, vegetables and herbs, usually locally grown. It also has a good range of more exotic items. There are two excellent butchers in Kirkby Stephen, and make sure you ask about the provenance of the lamb – usually from the fells nearby! Cheese is sold at Pack Horse Stores and the Emporium, both of which offer enticing cakes and chocolates. The Co-Op is great for staples, and when you are in there, make sure you check out the wine section where we have found some very good wines at excellent prices. Other shops include the Church Gallery, which sells local art and crafts, as well as toys, clothing, cards and much more. If you are interested in fine antiques, then Haughey Antiques is definitely worth a visit. There are plenty of tea rooms and cafés, and if you are on the run, a couple of pies from the Appleby Bakery won’t disappoint. 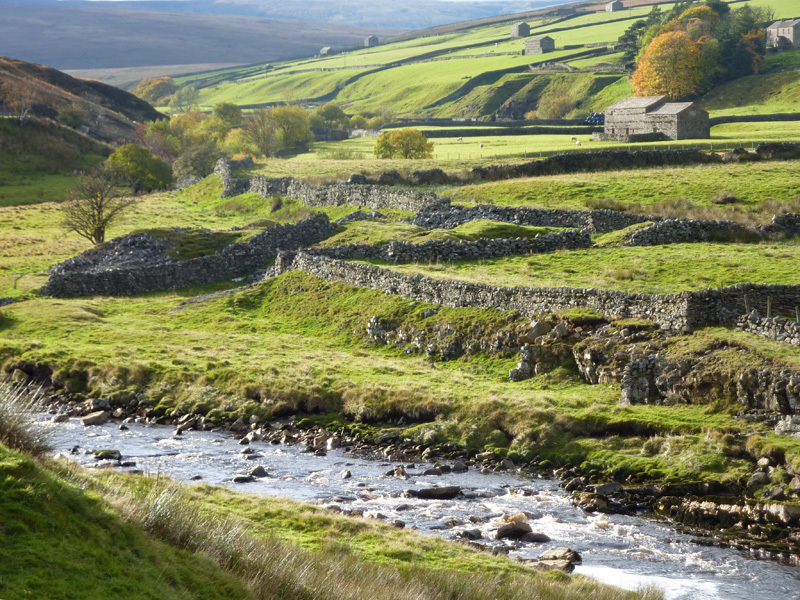 Head across the desolate, yet stunningly beautiful dales, towards Hawes, wending through small hamlets, spectacular scenery and enchanting countryside. This is a lovely day out. 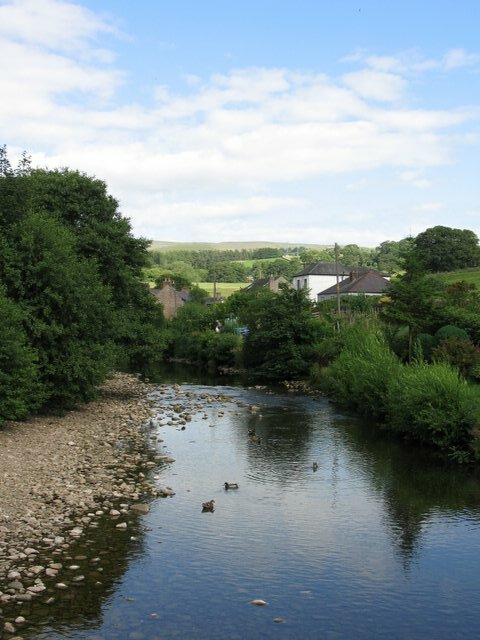 A picturesque drive takes you through the Yorkshire Dales National Park to Sedbergh, then onto Kirkby Lonsdale, an ancient town which has had a Charter Market since 1227. The Market Square is framed by traditional buildings with a great selection of shops. If we are treating ourselves, we head to Plato’s for lunch. And we can never resist popping into Church Mouse Cheeses in Market Street to sample some of the fine local cheeses. But it isn’t all about eating (well, not always). There are some great walks in this area, though usually we’ve done them in the pouring rain. Devil’s Bridge is worth a visit, especially on a nice day.